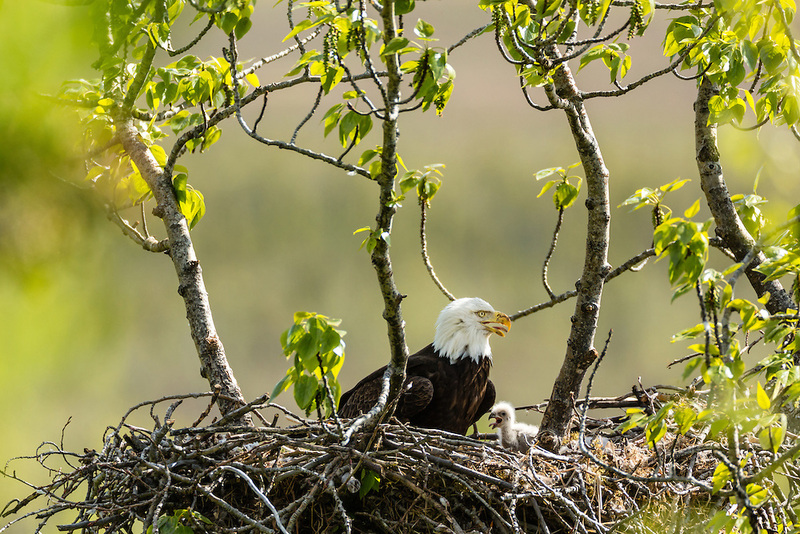 Bald Eagle (Haliaeetus leucocephalus) and chick in nest at Potter Marsh in the Anchorage Coastal Wildlife Refuge in Southcentral Alaska. Spring. Afternoon.